High Plains is a British Horse Society Approved Livery Yard, attaining 'Highly Commended' in all but one section. This is a seal of approval that you can trust, meaning we adhere to a high level of horse care and customer service. The Livery Yard is run by BHS Stable Manager and Level 4 Coach Julie Howard, who has many years of experience in the equestrian industry. We believe the time you spend with your horse should be enjoyable and at High Plains we have excellent facilities to allow this. 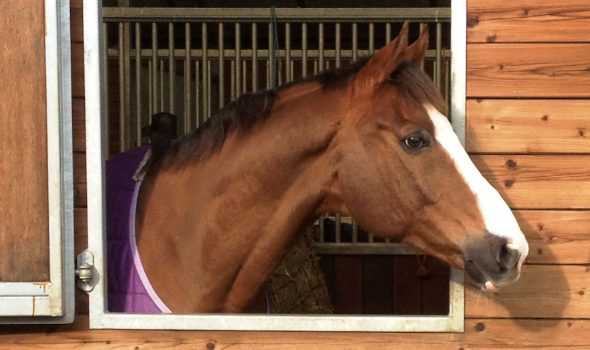 Each of our 25 stables are safe and spacious for your horse, built by Monarch, who specialise in equestrian buildings. We have a secure heated tack room and vermin proof containers for feed. For the rider we have a heated kitchen for warming up in those winter months, with fridge, tv, microwave, toaster, kettle and even a shower room if you are heading straight to work afterwards. We offer a flexible range of services to suit a wide variety of livery requirements, from assisted DIY through to full livery, all of which benefit from the use of our extensive facilities. We implement high standards of horse care and offer year-round turn out. Our facilities include a 60m x 40m floodlit arena, which boasts an Andrews Bowen Propel waxed sand and fibre surface. 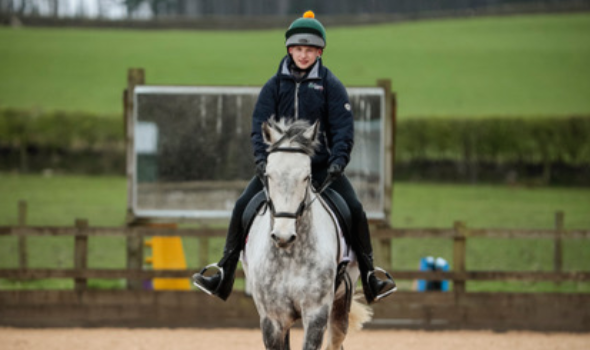 We have a full set of show jumps with extensive fillers, cross country course with jumps from 20cm to 100cm including water jump, ditch, bank, steps, corner and of course our Woodland Ride which stretches over 5.5km of beautiful Northumbrian countryside.